Who has the advantage in this position? I was in a 3 day turn chess I could have played a line that would have led me to this position. The central pawns for black seem to be an advantage but the extra rook for white scared me. Who has the advantage in this position and why? Obviously is white turn. This position is not easy to assess. Indeed, white has a rook, but black has a bishop and two pawns for it, which is roughly equal material-wise. 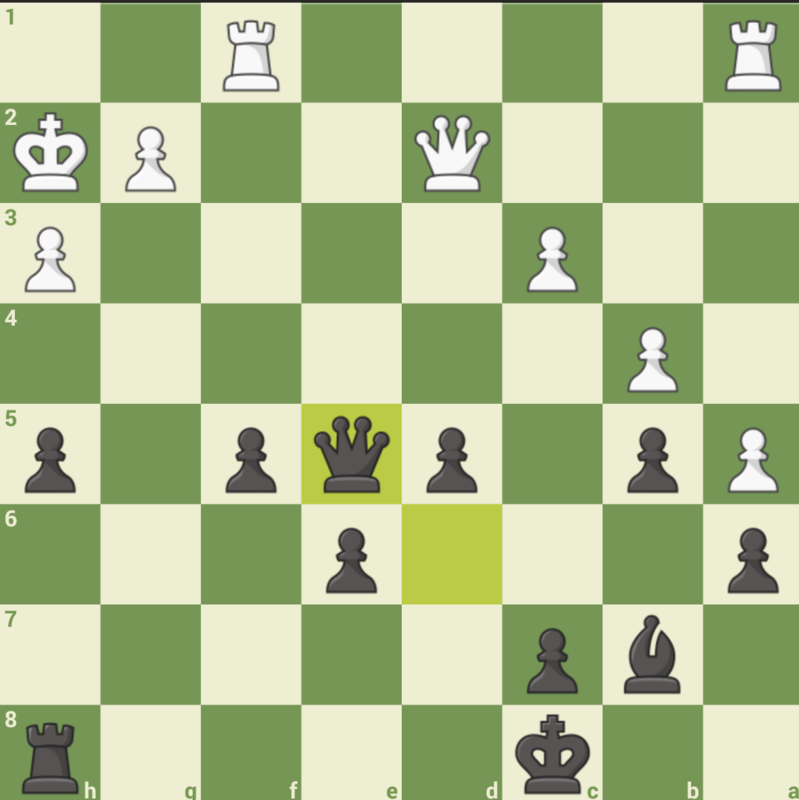 Also there are no open files, so white's rook do not have a straightforward way to enter black's position. The best white could currently do is to try to create counterplay against the pawn on e6 and create a blockade on the dark squares, preventing black from advancing the pawns. Since black does not have a dark squared bishop that should be reasonably easy to achieve. As a long term plan, white can transfer his king to the queenside (e.g. to b2) and open some lines with g4, which does seem somewhat dangerous for black. Still I think black is doing perfectly fine so far as the position is still closed, there are potential threats against g2 and the pawns are ready to run. Overall I'd say the position is roughly equal (but interesting!). I´d say Black has at least a draw. In case the queens get exchanged Black can bring his king to support e6 and if need be approach the king side to prevent a possible g4 break. He/she can bring their bishop to an active diagonal. On the other hand white must be super creative to activate their rooks. In case queens remain, other than the above ideas Black can sacrifice a pawn to have the bishop eye the g2 pawn. This together with pressure from g file by rook must be enough to keep White on check. The position is rich in possibilities. Don't trust an engine on this! In practice Black has a more straightforward game to follow than White. Not the answer you're looking for? Browse other questions tagged strategy advantage or ask your own question. Does the first-move advantage for White have real meaning apart from the highest levels of play? What are white's plans in this Scotch Gambit position? Who has the advantage at this point in the game? How is this a winning position for white? What plan should I have followed in this particular position? What makes white's first move tempo advantage so valuable? Why did Carlsen play 7. dxc5 in Game 7 of the 2018 World Championship?